HIDE&JACK Shoes - HIDE&JACK - Free delivery with Spartoo UK ! Low Top Grey Canvas Sneaker. Sneaker Sky In Pelle Bianca E.. 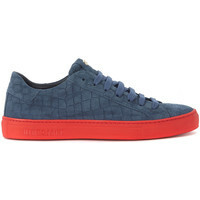 Sneaker Croco In Pelle Bianca.. Essence Croco Blue And Pink..
Rainbow Sky White Leather And.. Essence Croco Black Suede And..
Sky White And Blue Red Croco..
Croco White And Beige Leather..
Special Croco Green Suede And..
Low Top Croco Blue Suede..
Croco Blue And Red Leather..